Please click on a star rating for Celebrate Kwanzaa! with Special Guests Cumbe: Center for African and Diaspora Dance. Please type your review for Celebrate Kwanzaa! 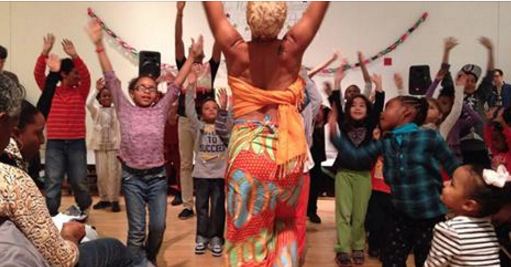 with Special Guests Cumbe: Center for African and Diaspora Dance. World Brooklyn	Daily except Monday from 10:00 AM to 5:00 PM	Free with Museum admission: $9; Free for members and children under 1 year of age. Neighborhood Nature	Daily except Monday from 10:00 AM to 5:00 PM	Free with Museum admission: $9; Free for members and children under 1 year of age. Big Adventure	Daily except Monday from 10:00 AM to 5:00 PM	Free with Museum admission: $9; Free for members and children under 1 year of age. Special Exhibit: Building Brainstorm	Daily except Monday from 10:00 AM to 5:00 PM	Free with Museum admission: $9; Free for members and children under 1 year of age. 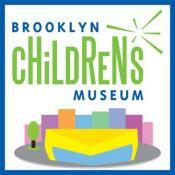 World Brooklyn	Free with Museum admission: $9; Free for members and children under 1 year of age. Neighborhood Nature	Free with Museum admission: $9; Free for members and children under 1 year of age. 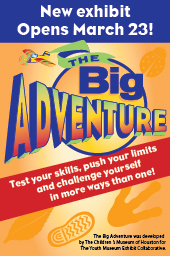 Big Adventure	Free with Museum admission: $9; Free for members and children under 1 year of age. Special Exhibit: Building Brainstorm	Free with Museum admission: $9; Free for members and children under 1 year of age.